Friday 11 July at the Serravalle Stadium of San Marino the Vicenza Calcio Femminile beats 4 to 2 FCF Como 2000 on penalties and won the first place of the 14 ^ edition of the international San Marino Cup tournament. After a match dominated by measure from the technical point of view in both times, with heavy siege of the opposing area, and many chances of scoring goals, the girls of Mr. Marcon put on the 4 network penalties signed by Miriana Mastandrea, Serena Chiurato, Lisa Pegoraro and Stella Maddalena, collecting only two, and take home the 2014 trophy. I remained petrified on the small armchair and mentally relived its acrobatic raids, its percussion that pierced the opposing defenses, the spectacular conclusions often learned made with a deadly left that rarely left escape opponents. Emotions! The female Imola has brought two teams to the San Marino Cup, a great sporting, cultural and social event, with an unparalleled international atmosphere. This is the largest Italian youth football tournament for boys and girls that celebrates the 14th edition by presenting 53 formations from all over the world to the starting lineup. The Giovanissime coached by the debutant Denni Bolelli, assisted by Mr. Ademaro Mosconi, are part of a group with the Americans of the Soca Girls and the Fc Philadelphia and with Real Meda, the Brianza team. 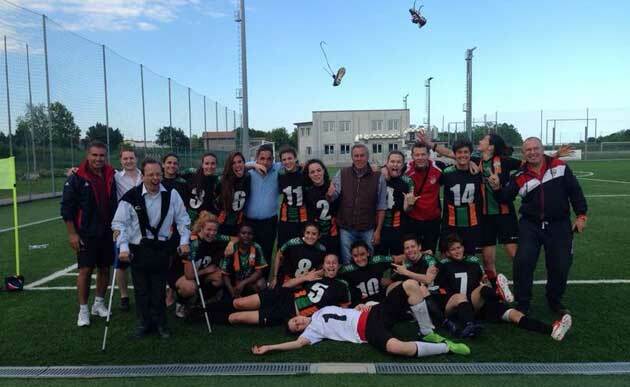 On the debut the rossoblù have lost 3-0 with the Soca Girls. Today at 16,30 the opponent of the Imola is the Philadelphia with the goal of ready redemption while tomorrow at the 15 rossoblù will play against the Lombards. The semifinals are scheduled for Thursday and the finals on Friday. 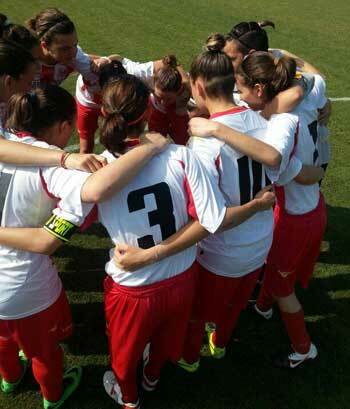 The company ended the season with a double win in the derby with the Arezzo Calcio Femminile. The Blue Star won the matches despite the many nursery girls lined up in the field. AREZZO - The Blue Star never ceases to win. The excellent fourth place achieved in his debut season in Serie B has not satisfied the Arezzo-based company that over the last weekend has also imposed itself in the women's tournament of the second "Memorial Beatrice", the event hosted at the municipal stadium of Arezzo. Built by the general manager Claudio Chiarini and the sporting director Omar Neri, the team of the Stella Azzurra has conquered a new success by beating the Arezzo Calcio Femminile twice in a very sensational city derby. A mix of players from the first team and the Under 19 led by Mr. Luigi Tadei took part in the Martorano Tournament, 7 Pfingsten Cup, included in group B together with Olimpia Forlì and the Austrian team from Gerolsbach. The rossoblù won their grouping by beating the forlivesi for 4-0 and the Austrians for 6-3. 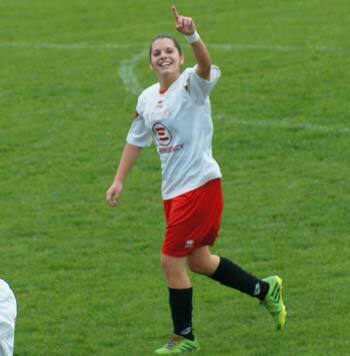 In the semi-finals, the female Imola girl lost 2-1 against Lucca and then won the final match again with Forlì with the score of 1-0 obtaining the third place. The thought of Tadei. "This success is dedicated, first of all, to the mixed beginners of the feminine Emilia-Romagna, with whom I worked all year and allowed me to crown the dream of leading the first team / Primavera, to the girls who took to the field with so much determination, to all the management that has always had faith in me but also to Mr. Mauro Morotti who has worked with these girls very accurately, and to Loris Poggi who at the time of his decision to try a new adventure has shown me how his substitute ". The great results achieved by the Arezzo society are the result of a movement with few peers in Italy. The international friendly with the selection of Abu Dhabi has closed the season of the first team. 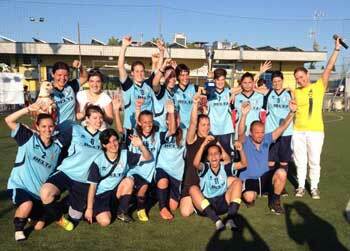 AREZZO - The Blue Star has entered by right among the best Italian women's football clubs. The exceptional results obtained by the first team of Serie B and all the formations of the youth sector allow the reality of Arezzo to file a brilliant season that found its seal at the end of May in the friendly against the representative of Abu Dhabi. The fact that the Stella Azzurra of President Otello Purchases was called in Florence to play against the Arabs testifies to the visibility and the importance achieved by the company at national level, rewarding the unstoppable growth of the Aretine women's football made possible by the work of the general manager Claudio Chiarini and sport director Omar Neri. In the last five years the two executives have taken charge of a company that militarized in the D series and brought it to the top of the B, providing it with a youth sector with three teams and about fifty athletes. "With work, perseverance and planning - explains Chiarini, - we have hoisted the Stella Azzurra at the top of all the regional and national championships disputed, succeeding in realizing the goal of being among the best Italian women's football clubs". The pinnacle of this movement is represented by the first team in Serie B, who, in his first year in the national championship, has taken an excellent fourth place managing to keep up with all challenged opponents. The final placement, unthinkable at the beginning of the season, could have been even better but in the last few days the Stella Azzurra has lost some points, preferring to give to many nursery girls the satisfaction of the debut in B. To further embellish the season is the pride of having played all the internal races in the stadium "City of Arezzo" and having recorded the best defense in the league. The great news of this season was the birth of the Primavera team, with Chiarini and Neri who assembled a competitive squad in each department that came third in the regional championship (behind Perugia and Florence) and second in the Tuscany Cup. A nice confirmation came from the Giovanissime who, after winning the regional title in the 2013, this season have reiterated to be the strongest of Tuscany with a success in the league that opened their doors for the national finals of Coverciano. Finally there are the smallest of the football school that, in the Beginners category, have been honored in the provincial league against peers of men's teams. "We have created an important women's movement in Arezzo, capable of keeping up the name of the city in Tuscany and in Italy - concludes Chiarini. - In this sense we must thank all the sponsors who believed in us and supported our journey, in addition to the municipal administration and the councilor for sport Francesco Romizi who valued our society by guaranteeing a leading role in the Aretine sports universe . With this exciting season we are convinced that we have deserved the trust of the whole city ". With the splendid victory for 3-2 against Virtus Romagna, on the synthetic field of Gatteo a Mare, (Forlì) the Net.Uno Venezia Lido has conquered, the 18 May 2014, the historic salvation in the national championship series B women's football . And now the company is already working to prepare for the upcoming 2014-15 sports season, still in a national championship. The key word is to consolidate the existing group and try to reinforce the team, with the addition of new elements. It was, however, a historic undertaking for the rossoblù team that remains the only women's football reality in Venice and the islands. Day of play out also for the series B. 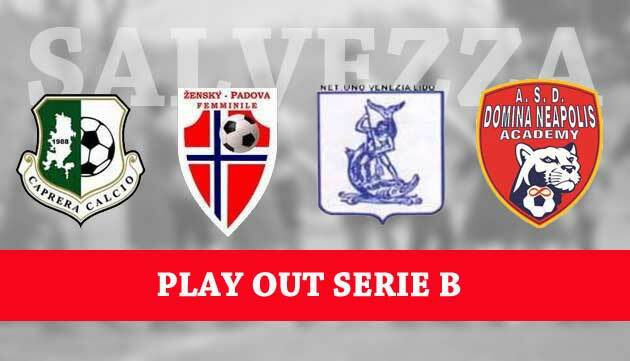 Group A records the beautiful victory of the Caprera on the field of Valpolcevera for 2 to 0 with the networks of the experienced Marsico and Fadda that close the first half with the double advantage. The reaction of the Ligurian landlord has not served anything to reach a draw useful for salvation. President Cau satisfied: "we played to win and the victory came deservedly to crown an unlucky championship. For us, salvation was essential to continue to play football in Sardinia where the regional series C championship is no longer played. Congratulations to the opponents and to my girls for the good performance. " 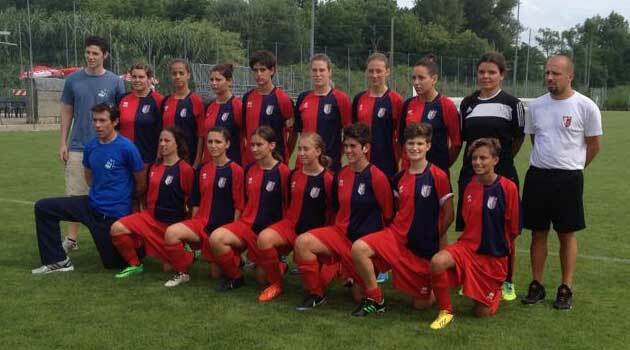 The prestigious meeting officially ends the triumphal season of women's football in Arezzo. The friendly with Abu Dhabi is organized to develop integration and the meeting between different cutos. AREZZO - After all the championships, the Stella Azzurra is preparing to close its triumphant season with a luxury match against the women's soccer team of Abu Dhabi. The match, scheduled for Saturday 17 March on the Florentine field of San Marcellino, will be played in a climate of celebration and friendship with the aim of developing dialogue and integration between two different cultures, using sport as a vehicle to achieve this purpose. La Stella Azzurra, back from a nice fourth place in her first experience in Serie B, responded enthusiastically to the possibility of confronting this Arab football reality that is in Italy to play an international tournament. THE OROBICA CONQUERS THE SERIES TO BATTENDO THE BLUE FOR 5 TO 1! Now it's reality! Mister Marini's Orobica gets the promotion in Serie A at the end of an exciting season that has seen the girls from Bergamo win the group B of the series ba quota 60 points. Great satisfaction not only for the players but for the whole company that has made the company to go back in six years from the series D to the series A through B and A2. Comprehensive training that the orobic for the last season with only the exceptions of the injured Poet and Church, however, equally decisive for the achievement of the objective. Read more: THE OROBICA CONQUERS THE SERIES TO BATTENDO THE BLUE FOR 5 TO 1!